What separates humans from other animals, including our closest relatives? It's one of those big questions perennially posed by the evo-curious public. But until recently I seldom gave it much thought, mostly because the answers tend to get hung up on one trait or another that differs from our closest great-ape relatives: our upright stance, the shape of our toes, the size of our brains. Millions of years of separate evolution has, of course, resulted in considerable divergence in all manner of traits. It makes no sense to elevate one particular trait to some kind of special status as the one thing that makes humans human. Let us make man in our image, after our likeness: and let them have dominion over the fish of the sea, and over the fowl of the air, and over the cattle, and over all the earth, and over every creeping thing that creepeth upon the earth. The shard of evolutionary thought that most gets under the skin of religion is the notion that humans are not created special, are not made in any divine image. The great anatomist Richard Owen, a contemporary of Darwin, fiercely defended humanity's paragon status and the Victorian English status quo from transmutationalism (as evolutionary thought was then known) and the "bestialisation" of man. When the first pelts and skulls of a newly discovered, large, "indescribably fierce" African ape (the gorilla) sensationalized 1850s London, they piqued the curiosity of a working class then challenging ideas of human uniqueness and a divine social order. Owen lectured the British Association in 1854 that human brains bore special structures -- such as the hippocampus minor -- lacking in apes. Here, Owen claimed, lay the evidence for human uniqueness. 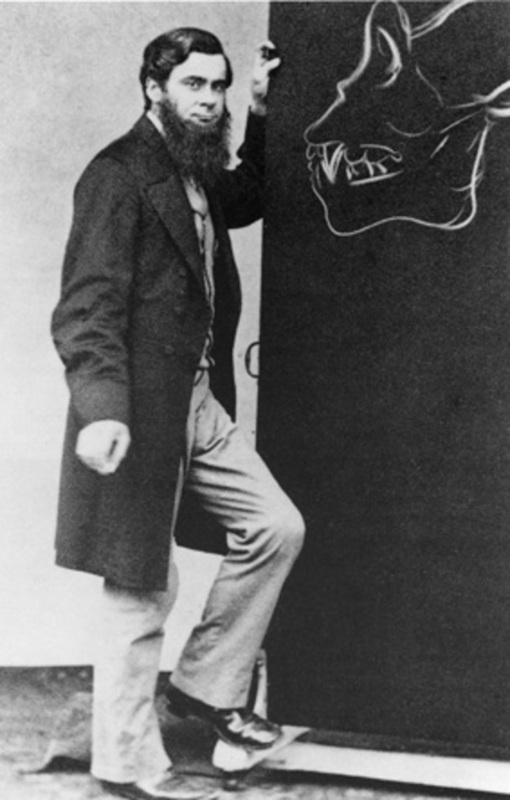 A young Thomas Henry Huxley located the gorilla's hippocampus minor (remember they were working with skulls) in March 1858 (months before the Darwin-Wallace paper on natural selection), showing himself the better anatomist. More importantly, Huxley's interpretation that chimps, gorillas and humans are at least as similar to one another as any is to baboons -- now common knowledge -- devastated Owen's claims to human uniqueness. One by one, all claims to human uniqueness have similarly fallen aside. For example, in 1960 Jane Goodall refuted the idea that human tool use set us apart from our closest relatives. Perhaps the entire enterprise of looking for traits that distinguish us from other apes is misguided and the differences are more quantitative than qualitative? Last month I enjoyed the pleasure of discussing this topic with UQ's Professor Thomas Suddendorf at the Sydney Writers Festival. Suddendorf was at the festival to talk about his book The Gap: The Science of What Separates Us From Other Animals (Basic Books), recently published to enthusiastic reviews. The Gap tackles the difficult question of what separates humans from other animals, but part of its genius is the way it begins by putting humans into a biological context. Only by viewing humans as organisms can we begin to test the idea that humans differ from other organisms, and what those differences might be. Professor Thomas Suddendorf talking at TEDxUQ about the evolution of human minds and some of the science he writes about in The Gap. A psychologist, Suddendorf works with both human children and other primates to understand mental evolution and the development of those mental capacities in childhood. The Gap considers in detail the mental traits most likely to have effected the ecological success of humans relative to our great-ape relatives. Where orangutans, gorillas and chimpanzees languish in ever-shrinking patches of rainforest, he points out, humans now make up more than seven times the biomass of all other wild mammals combined. Something sets us apart -- ecologically, at least -- from our closest relatives. Our open-ended ability to imagine and reflect on different situations, and our deep-seated drive to link our scenario-building minds together. That's as good an answer to the questions about human uniqueness as I have ever encountered. What is more, the answer, and Suddendorf's fascinating path to that answer, has made the very question of human uniqueness interesting again. I couldn't resist this 1988 Pixies performance of "Where Is My Mind?" Science has unequivocally answered the "where" question in addition to resolving many of the evolved differences between our human minds and those of our surviving relatives. Rob Brooks does not work for, consult to, own shares in or receive funding from any company or organization that would benefit from this blog post and has no relevant affiliations. This post was originally published on The Conversation. Read the original post here.